Place water, 2 Tablespoons butter, bread flour, 1/4 cup white granulated sugar, salt and yeast in the bread machine and start on dough cycle. Once dough is complete, roll out into a 9" square on a lightly floured surface. Mix 1/3 cup sugar and 2 teaspoons ground cinnamon together (I mix it in a measuring cup). 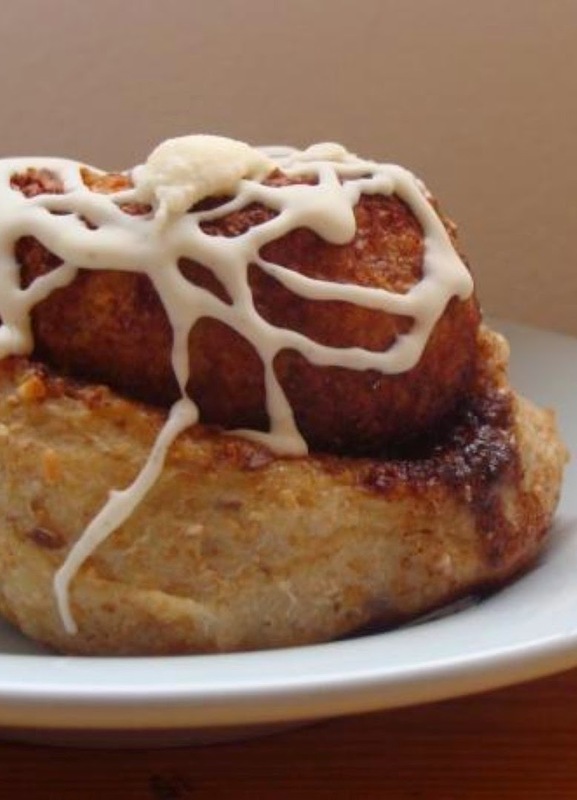 Spread 2 Tablespoons softened margarine over the dough and sprinkle with the cinnamon mixture. Roll up tightly into a log and pinch the edges to seal. Cut into 1" slices and place in a greased 9"x9"x2" square pan (brownie pan). Cover loosely with plastic wrap and let rise 1 hour or so until double, OR in refrigerator overnight if making for breakfast. Preheat oven to 375°F and bake 20 minutes or until golden brown. Mix powdered sugar, vanilla and milk to make glaze, drizzle over rolls and serve warm.